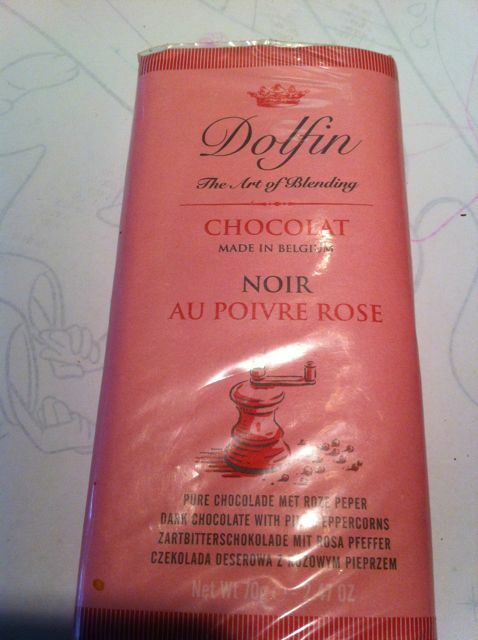 Another fantastic Belgian chocolate, this time a dark – 52% cocoa – from the Belgian chocolatier Dolfin. 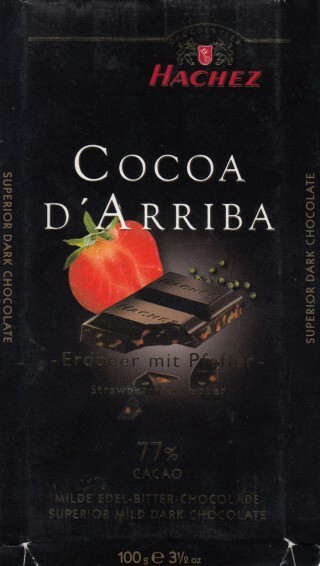 This one is purely pink – peppercorns, that is. 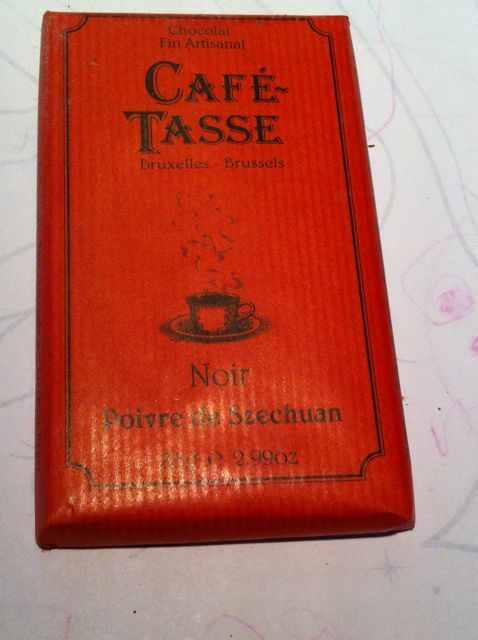 Among the many Belgian chocolates I recently found at Chelsea Market Basket, this was one of the most interesting I tried. Now, it’s important to note that I say interesting – it is not my favorite, but I am glad I got to try this.